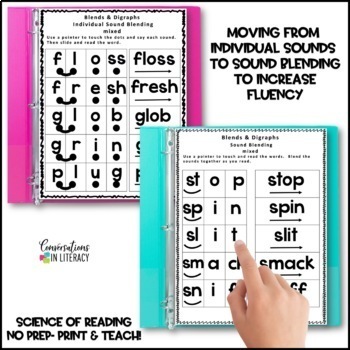 Reading Intervention Binder Blends and Digraphs move your students from reading blends and digraphs as individual sounds to onset and rimes to whole words to sentence reading to paragraphs!! 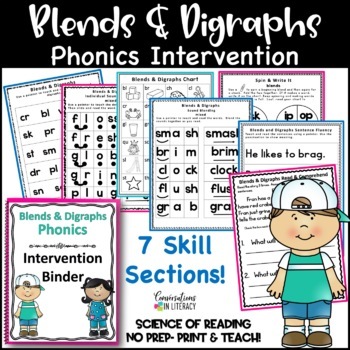 This Blends and Digraphs Intervention binder is a NO PREP- PRINT & GO resource! 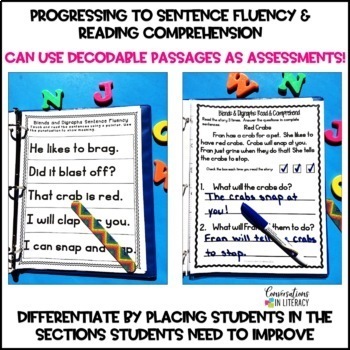 Print it out, place it in a notebook and students are ready for blends and digraph learning! This resource is packed with activities that are great for small groups and intervention times! 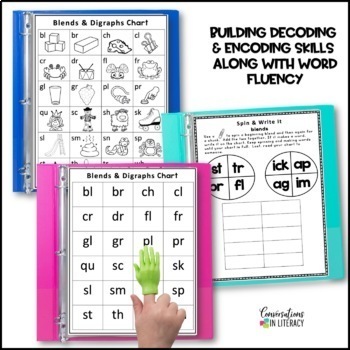 Click here to SAVE by purchasing this resource as part of the Word Work Bundle! Check out all the Intervention Binders!